Resident Management Services, Inc. has worked closely with several developers to provide top-quality property management services to elderly residents from a wide variety of backgrounds, with an equally wide variety of housing needs. 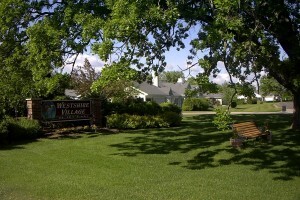 These elderly housing complexes range from a Section 202 property near St. Louis (Touchette Elderly Apartments) that addresses the needs of low-income seniors in a semi-urban area to the condo-like-life-lease estates of middle-income seniors in two campus locations in Wisconsin (Westshire Village at the Lake in Waunakee/Madison and Westshire Farms at the Lakes in Delavan). In each case, RMS has found innovative and workable solutions to the unique housing problems presented by an aging population. Whether it’s coordinating a meals-on-wheels program at a housing site, facilitating transportation or making sure that corridors are adequately lighted, RMS blends the nuts-and-bolts of a property’s physical plant with the one-on-one personal interaction that is essential to the well being and safety of the elderly. We can turn your problem properties into quiet successes. We’ll manage your property as if it were our own. Our staff has managed long-range rehab projects on properties suffering from years of deferred maintenance, less than rigorous tenant selection, and lack of budget controls. Our staff has weeded out problems from complexes staggering at 30% or higher vacancy rates and nearing default, taking over within two days of an emergency request by the owner, making repairs and gaining a 96% occupancy rate in just over six months. Our staff once fought a quadrennial tax assessment and was able to receive an 18% abatement. Within a year of taking over management of a distressed property, our staff was able to make a first-ever distribution of surplus cash to the owners in an amount over $100,000. As developers as well as managers, our perspective makes your goals our goals. And that’s why we want to be your partner in management. Among these firms, Metropolitan Housing Developers Corporation (MHDC) is especially noteworthy, having provided expert development and housing-related consultation for nearly forty years. Many of RMS’s key staff members as well as as members of its board of directors have at one time worked for MHDC or served on its board. RMS continues to benefit from this unique and valuable relationship, and in turn, so will you, as an RMS client. Over the years, Metropolitan Housing Development Corporation has functioned as a developer – building or rehabilitating residential property for sale or rent under various assisted-housing programs, including Section 8 and Section 202. 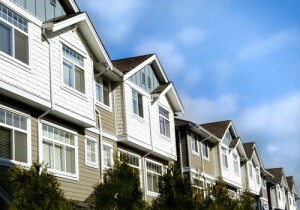 As a consulting firm, MHDC has planned and executed innovative programs in assisted-housing, with expertise in development issues, minority marketing, management issues, and financial planning for developing property to be not only of service to the owners and residents, but also the entire community. Resident Management Service, Inc. is honored to maintain its relationship with MHDC. RMS also works closely with a number of other not-for-profit organizations that specialize in housing for the elderly, including First Active Seniors Corporation, Delavan Active Seniors Corporation and MHDC-Joliet.